Jimmy Kimmel had a packed show last night on Jimmy Kimmel Live, with Furious 7 star Vin Diesel stopping by to promote the new movie, as well as musical guests Van Halen. Van Halen’s new album, Tokyo Dome, Live in Concert, comes out today, March 31st, 2015. It is the first live album released with original singer David Lee Roth on vocals. Watch the 8 (yes 8!) videos here below. Is Van Halen a metal band or just a very heavy hard rock band? It’s a debate that’s been raging amongst metalheads ever since the band’s eponymous 1978 debut album, Van Halen, took the rock world by storm. But no one, then or now, could dispute that the band’s then-23-year-old virtuoso guitarist and namesake had turned the world of rock and metal guitar playing on its ear with his beefy tone, flashy and innovative right-hand tapping technique, and unbelievably fast and fluid legato runs. Nowhere was this more evident than on “Eruption,” the blistering second track of the debut album. Very few instances can be found in modern music where a single moment changed the entire landscape around it. Even fewer can boast of forever altering the way an instrument is played. “Eruption” was a clarion call that would herald the arrival of the new sheriff in town. Eddie Van Halen‘s signature instrumental stands as the centerpiece of every Van Halen performance to this day. And speaking of this day, it just so happens that today, January 26, 2015, is King Edward’s 60th birthday. So crank up the video clip here below of the man himself performing “Eruption” (along with a portion of “316” and other assorted tastiness) live from Van Halen’s legendary 1986 concert film Live Without A Net. Right now, Van Halen‘s 1984 is on sale on CD for only $3.99 and in MP3 format for only $5.00. The CD is an AutoRip, which means it comes with a FREE MP3 version of the album (the purchase of the CD also comes with a $1 Amazon MP3 Credit). 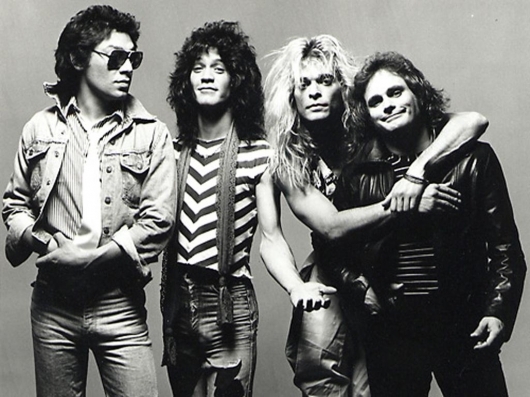 The album, released in the year 1984, was the band’s final effort with charismatic frontman, singer David Lee Roth, before their recent reunion. 1984 spawned the chart-topping hits “Jump,” “Panama,” and “Hot For Teacher” and was their most successful commercial effort with Roth. 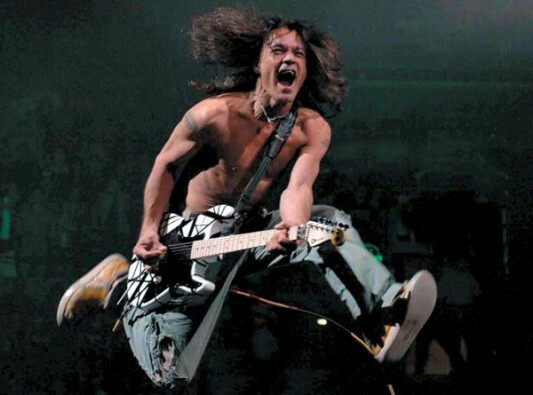 Happy Birthday today to Eddie Van Halen, who remains, at the still young age of 59, considering he’s seemingly been around forever, and indeed, the first Van Halen record was released 35 years ago this year, one of the, if not THE, (in the opinions of many, many guitar heroes globally) greatest guitarists of all time. Hailing from the Netherlands, and the son of a musical dynamo in his dad, Jan, who played brass instruments and the piano, Eddie Van Halen learned his craft by rote, by “listening and watching” in his own admission. Although his style is a hyperfast, tasteful stream of musical consciousness on the fretboard, it’s interesting to note that he grew up on bands like Cream and Led Zeppelin, who both of course had guitarists that were and still are legends in their own right in Eric Clapton and Jimmy Page respectively, yet neither of those men ever had the kind of technical razzle dazzle aurally manifested like the sounds that came through the amplifiers of Eddie Van Halen. 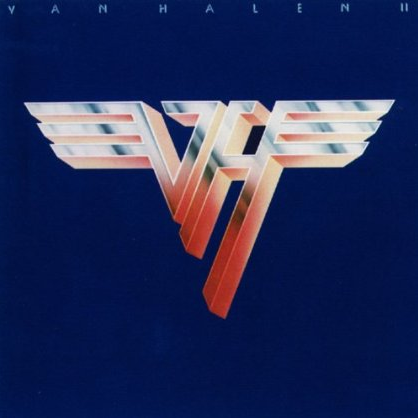 As part of Amazon’s monthly MP3 album deals, Van Halen‘s Van Halen II is available all this month for only $5. The CD version is also on sale now for only $4.99. Here’s where I justify the cost: MP3 songs are typically 99 cents each, therefore for Van Halen II to be worth the price, you need at least 5 songs worth having: heavy stuff – “Somebody Get Me A Doctor,” “DOA,” and “Beautiful Girls” BAM! (justify getting the album even at regular price! ), but there’s plenty of lighter tracks on the album like “Dance The Night Away,” “Women In Love,” and the cover song “You’re No Good” (which was a hit for Linda Ronstadt in the 1970s). Still need convincing to shell out $5 of your hard-earned money? Umm, it’s David Lee Roth-era VAN HALEN! It’s guitar virtuoso Eddie Van Halen shredding it up in 1979 — plus, check out his 1-minute classical guitar solo “Spanish Fly”! This is a must-have album for all lovers of rock and hard rock guitar. For those of you who define the David Lee Roth-era Van Halen by their 1984 hit “Jump,” I beg you to expand your horizons with Van Halen II. On the flip side, if you like their hit “Panama” (who doesn’t? ), then Van Halen II is perfect for you. But sure to check out all 2,000 albums for only $5 each in MP3 format on sale through the end of January! As part of Amazon’s monthly $5 MP3 album deals for November 2012, Van Halen‘s 1984 is on sale for only $5. If you’d like a physical copy of 1984, the CD version is available for only $6.99. Browse the main sale page for 100 albums on sale for only $5 each in MP3 format through the end of January 2012. This week, the Van Halen hits album The Best Of Both Worlds is on sale for only $2.99 in MP3 format. The CD is on sale as well for only $12.18. 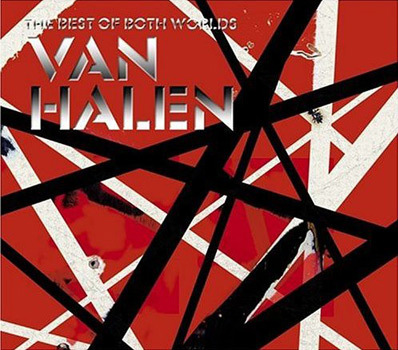 The Best Of Both Worlds contains some of the biggest hits from both eras of the band with singers David Lee Roth – “Jump,” “Panama, “Hot For Teacher,” “You Really Got Me,” and Sammy Hagar – “Why Can’t This Be Love,” “Dreams,” “Top Of The World,” “When It’s Love.” If you dig Van Halen even just a little, here’s what you need to know: there’s 36 songs on this collection and it’s only $2.99, so this is a no-brainer. Grab it now. 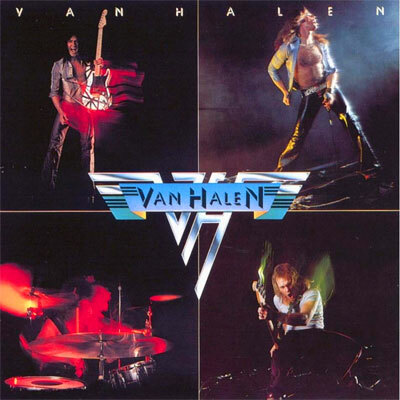 As part of Amazon’s weekly MP3 deals, Van Halen‘s 1978 debut album Van Halen is on sale for only $2.99. If you’d like a physical copy of Van Halen, the CD version is available for only $6.99. 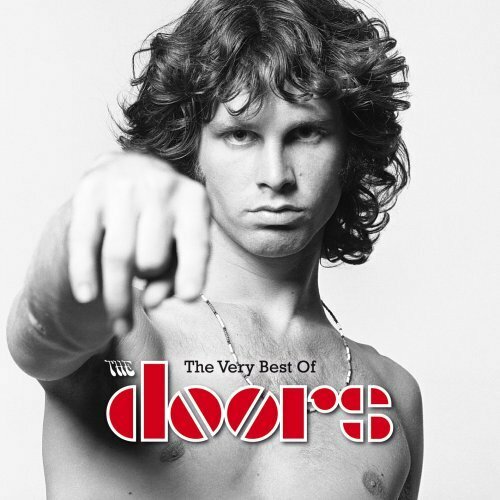 The album is another one of those perfect albums from start to finish and contains some of the greatest and most memorable songs in hard rock history with “Running With the Devil,” “Ain’t Talkin’ ‘bout Love,” and “Jamie’s Cryin’,” as well as the band’s cover of The Kinks’ “You Really Got Me” and the Eddie Van Halen-guitar instrumental, “Eruption.” This record put Van Halen on the map and propelled Eddie Van Halen to guitar god status. It’s a must-own! 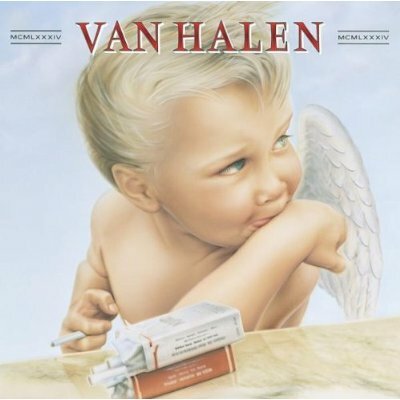 As part of Amazon’s monthly $5 MP3 album deals for February 2012, Van Halen‘s debut album Van Halen is on sale for only $5. If you’d like a physical copy of Van Halen, the CD version is available for only $5.99.